Tired of the same boring programmes on your television? Turn off your television sets. In fact, throw them out. Instead, tune into Web Series which give you a breather from contrived monotonous weepathons on cable networks. As the taste and demands of the new-age viewer changes, content providers are exploring new ways to deliver original programmes specific to the digital audiences. We know a show is a hit in today’s digital world when it spawns internet memes and T-shirts with dialogues from the show. In June this year, a five-part web series, with 40-minute episodes, met with unprecedented success and pervaded popular culture. A nascent but definite revolution is brewing in the online space in the world. Web series or shows meant exclusively for the internet are catching the fancy of audiences, and, as an extension, of content producers and advertisers. The web series, as a concept, took off in the early to mid 2000s. In 2003, Red Vs. Blue, an American comic sci-fi series was distributed independently using online portals like YouTube. It reached the 100 million views mark and is the longest-running series till date. Soon, it wasn’t just about hits, but serious awards. Netflix original and Kevin Spacey-starrer political drama, House of Cards (2013 onward), became the first web-only TV series to receive major Emmy and Golden Globe nominations. Within the web series industry, there are three sometimes overlapping streams of activity. These streams are: 1) Web series: narrative video series original to the web and standalone – not an extension of an existing TV or Film property. 2) Web video/web show: a web show is produced via the same model as web series but typically defined as non-narrative content 3) vlog: serial video blog – for example “YouTubers” are considered to be “vloggers”. The popularity of LGBT (16%), Children’s (15%) and Sci-fi/Fantasy (11%) genre content creation attests to this trend. Based on the 2017 survey data, approximately 41% of respondents indicated that they earned no revenue from their web series activity in 2017 and are thus contributing to Ontario’s creative sector, “on their own dime.” In a no- or low- revenue context, web series creators relied on a wide range of financing sources in order to produce content, the most common source of financing in the Ontario-based web series industry was “Personal Savings.” Some 68% of respondents reported having relied on their own savings to fund a production in 2017. From the low-revenue context, where web series creators reported financing content from personal savings, it follows that monetization is a constant concern. 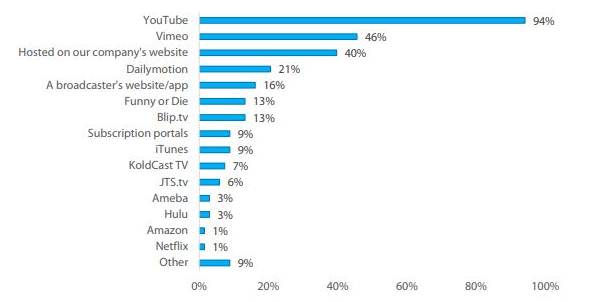 Some 70% of web series creators drew on advertising and revenue share agreements – the most common monetization model. Sponsorships followed, with 43% of web series creators reporting that they worked with sponsors in 2016. In web series, ancillary or indirect revenue streams such as sponsorships, events and merchandise appear to be highly important to web series creators. Web series, shows and vlogs can be distributed or “posted” to one or many online video platforms. Alternatives to YouTube and Vimeo are important in part because creators can sell other material on their own sites, such as merchandise and exclusive content. Overall, there was less engagement with the predominantly paid-for platforms, such as: “subscription portals” (9%), “iTunes” (9%), “Hulu” (3%), “Amazon” (1%) and “Netflix” (1%). Netflix has been very successful in the last few years. The company not only leads the streaming market in the U.S. but is effectively expanding its service outside North America. Along with gaining numerous subscribers worldwide, Netflix has managed to produce and distribute high-profile original shows. Firstly, as seen in the statistic, Netflix’s annual revenue has consistently increased over the years, reaching the highest figure to date in 2017 – 11.69 billion U.S. dollars. 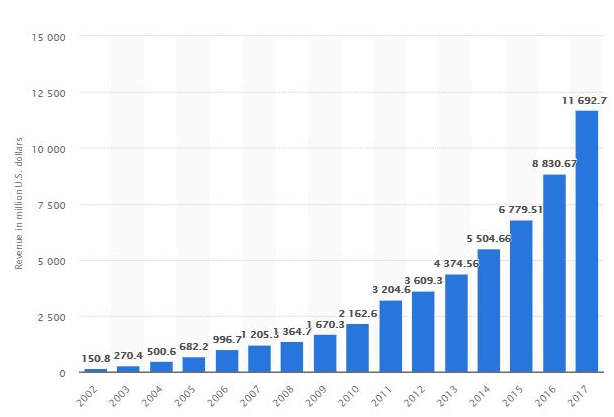 This figure is almost 10 times higher than Netflix’s annual revenue in 2007. Related to this, App Annie claims that users aren’t just downloading apps – they’re engaging at record levels, too. In most markets, the average Smartphone user has more than 80 apps on their phone and uses close to 40 of them per month. In addition, consumers are spending nearly 3 hours in apps per day on average, and the markets analyzed (see below) have averaged nearly 30 percent growth in average daily time spent since 2015. 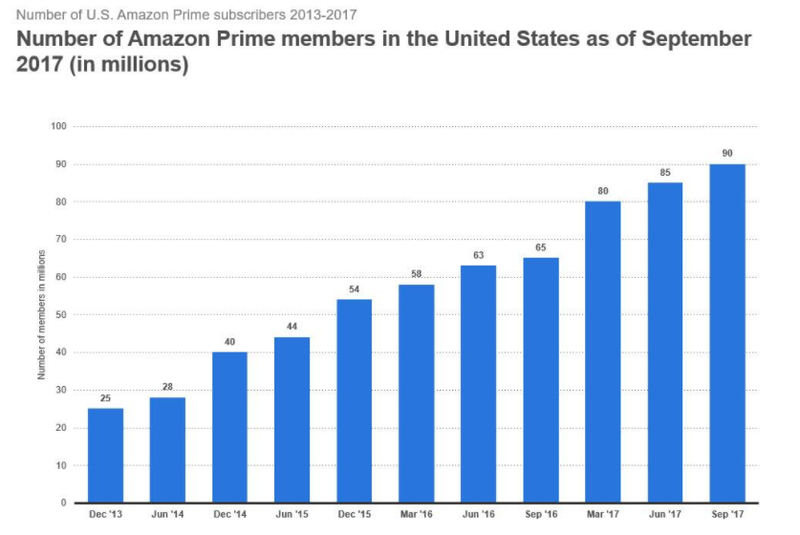 Another platform, Amazon Prime, is the key to Amazon’s success because, well, Prime members spend more. 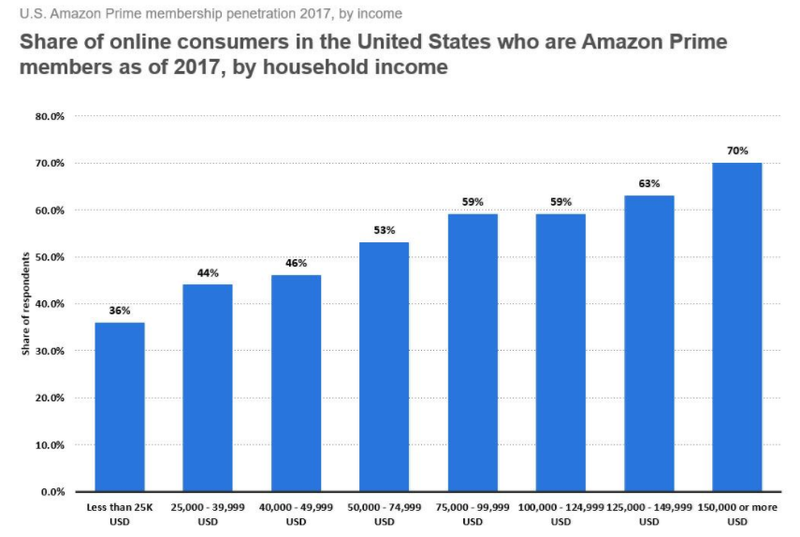 As of Sept. 30, 2017, the average Amazon Prime member spent $1,300 a year on Amazon compared to $1,000 for all US Amazon customers, according to Consumer Intelligence Research Partners, a firm that regularly surveys Americans on their Amazon buying habits. Amazon reported all-around strong results today, with profit that more than doubled estimates ($1.9 billion, compared to the $909 million analysts surveyed by FactSet expected), and revenue of $60.5 billion, slightly more than the $60 billion that was expected. The stock was up 6% in after-hours trading. As per research, by 2022 there will be 56 million Amazon Prime Video subscribers alone in the U.S., and 122 million worldwide. Within four years it’s projected that Amazon Prime Video will grow its customer base globally to 122 million subscribers, with 45.9% from the U.S. alone. Audience engagement is a constant focus for emerging and established web series creators. To that end, social media was a significant tool for audience interaction and promotion in 2013, as presented in the figure below. 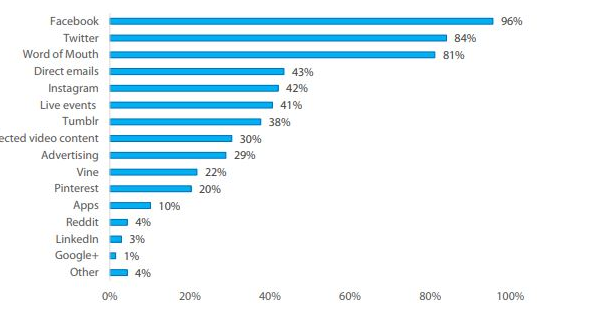 Web series creators reported they used Facebook (96%) and Twitter (84%) most commonly for interacting with audiences. Instagram, Vine, Pinterest, Tumblr and Google Plus were also employed for audience interaction though less heavily than Facebook and Twitter. The average wage of someone working – in any role – on a web series is $18.40 per hour. In contrast, the average hourly wage in the film and television production industry is approximately $29.54. 12 In this context, one interviewee identified an abundance of talent in Ontario but described the ability of web series creators to pay a viable wage as a major concern. Independent web series creators have been showcasing their content at international festivals for some time. 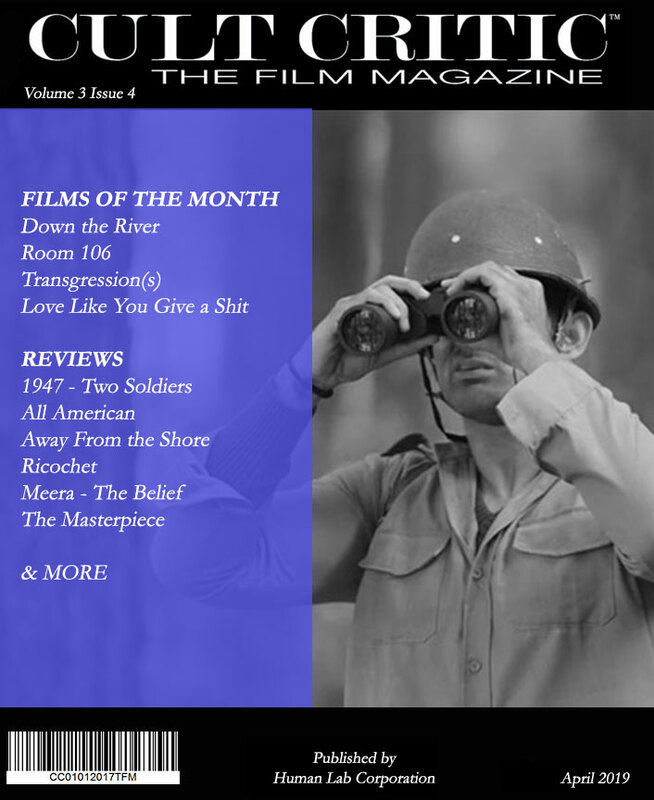 Many of the case study subjects are multi-award winners and have screened at numerous festivals around the world. The figure below presents the number of web series submitted to and accepted by, a range of top festivals. So what is clear is that the screen industries are being gradually taken over by new content creators and they will undoubtedly be at the forefront of the changes to come. Arindam Bhunia is a marketing manager in an MNC with more than eight years of work experience in electrical field. Apart from his corporate job, he has interest in cultural activities so he joined Human Lab Corporation as Chief Executive Officer. He oversees strategic planning for film, television and video game production, marketing and distribution for the company’s business verticals worldwide. He is also responsible for overseeing finance, legal, labour relations, technology and HLC Studio operations.